Special edition video game controllers aren't very special anymore. Look, they are still cool, but there are so many different styles and colors being released, it can be hard to get excited each time one is announced. Microsoft even offers the ability to create a custom controller with its neat Xbox Design Lab. With all of that said, I find myself smitten with a new Xbox One controller. Called "Sport Red Special Edition," it should not surprise you to know it is red. It isn't merely a red paint job, however -- it has different shades of red for the thumb sticks and buttons. The D-pad is a metallic red, and the face features a beautiful design of black crossing lines that create a series of triangles. It's definitely a stunner. "Inspired by the world of active wear and sports lifestyle, the Xbox Wireless Controller Sport Red Special Edition is the second controller in the Sport Series. This red controller exudes energy -- it features metallic red and silver accents on the front of the controller as well as a metallic red D-pad. The red diamond rubberized grips on the back of the controller will increase your comfort during long gaming sessions and help you stay on target," says Bree White, Global Product Marketing Manager, Microsoft. White further says, "To add to your gaming endurance, you can keep your controller fully charged with Controller Gear’s officially-licensed Xbox Pro Charging Stand. 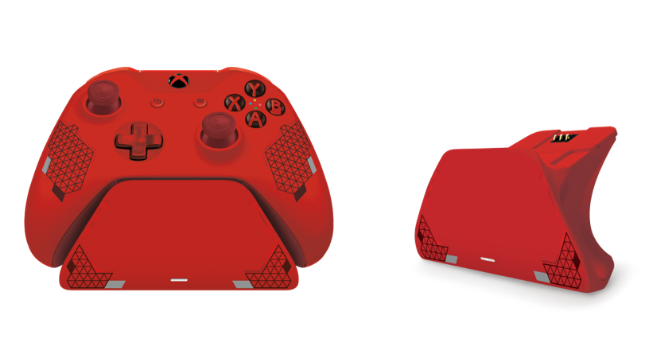 The Sport Red Special Edition Xbox Pro Charging Stand is a premium charger offering a sleek design and a seamless charging experience. Built with the same high-quality material as the Xbox Wireless Controller, it’s an exact color match and perfect fit for your new controller. Each Xbox Pro Charging Stand includes a battery cover, rechargeable battery, and a 6-foot power cord." 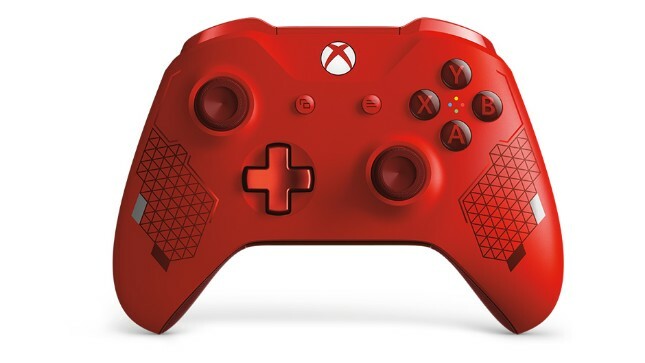 If you want to buy your own Sport Red Special Edition Xbox One Wireless Controller, you can pick it up next month on March 5. The price is $69.99 -- nothing unusual there. Strangely, the $49.99 Sport Red Special Edition Xbox Pro Charging Stand won't be available until May 1 -- damn near two months after the release of the controller. Don't own an Xbox One, One S, or One X? That's OK -- this controller is also compatible with Windows 10.